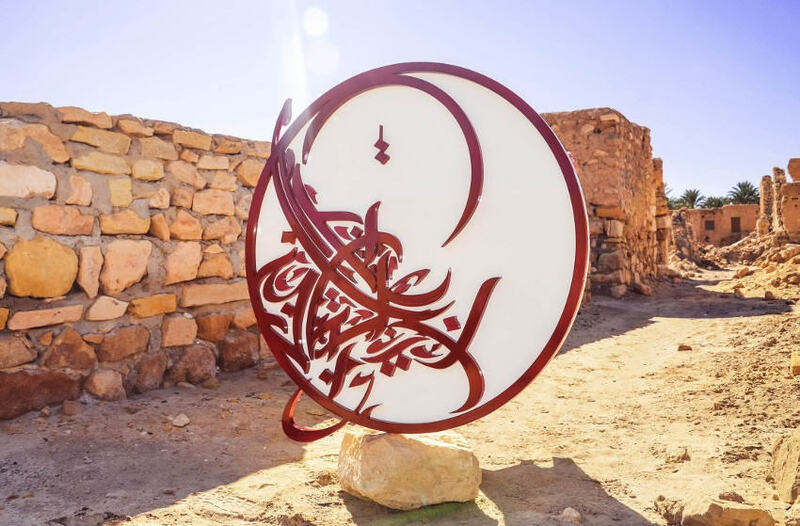 A Calligraffiti artist and freelance graphic designer, INKMAN (real name Mohamed Kilani Tbib) is one of the most promising talents of Tunisia in full artistic effervescence since 2011. 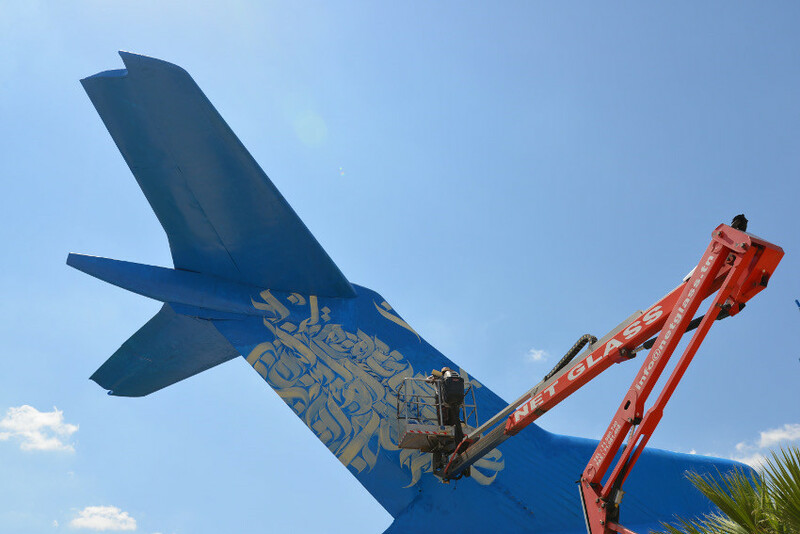 As he admitted in his TEDx lecture, “…calligraffiti changed my life”. But what is it exactly? The term was coined by a Dutch artist Niels Shoe Meulman in 2007 as a title for his exhibition, who described it as as “traditional handwriting with a metropolitan attitude” and a “way of translating the art of the street to the interior of museums, galleries, and apartments”. 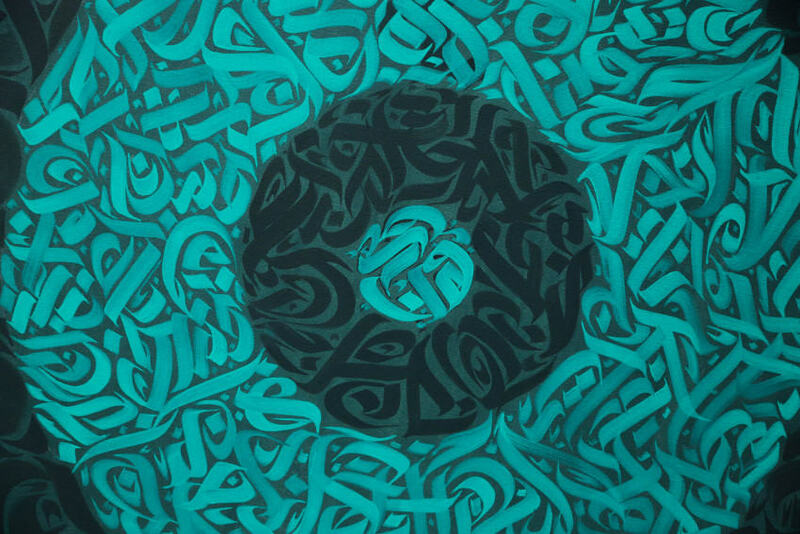 It is a combination of calligraphy (the art of writing – it can have many forms, from Arabic pictural scripts, Japanese ancient brush characters…) and graffiti (the art of getting a name up in urban environments, perfected in New York City, and nowadays it’s a worldwide phenomenon). INKMAN faced many hard decisions in his life, starting with quitting his business studies. It was a risk he had to take since the alternative would sooner or later prove to be unbearable. Complete aware of the difficulties he was bound to face in the beginning, he decided he would rather face them head on and end up doing what he loves than spend the rest of his life as a miserable person, forever regretting not taking that risk and following his dreams. From an early age, he had a strong artistic spirit, being attracted to poetry, setting poems on paper where he expresses his love of humanity, respect and celebrates the spirit of tolerance. 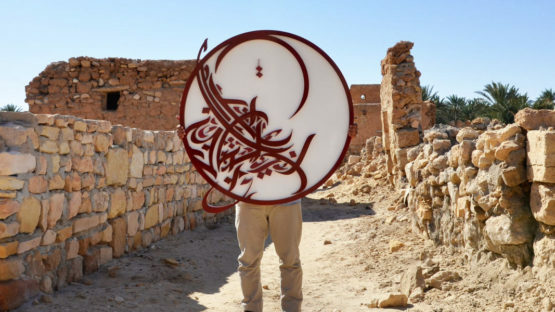 After quitting his business studies, INKMAN enrolled into Higher School of Sciences and Design Technology in Denden, Tunisia, where he earned his National Diploma of Graphic Design in 2015. And there, during his Graphic Design studies, he discovered the fascinating world of typography and the opportunities it provides for the creation and the visual composition of a work. INKMAN lives and works in Tunisia.